Check out how some creative folks used salvaged wood, old doors, and reclaimed furniture to create these wonderful suspended beds, seats, and chair swings for either indoor or outdoor use. 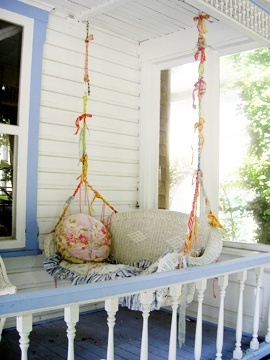 I think you'll agree...this ain't yer grandma's porch swing! What pretty colors. Love the huge windows. 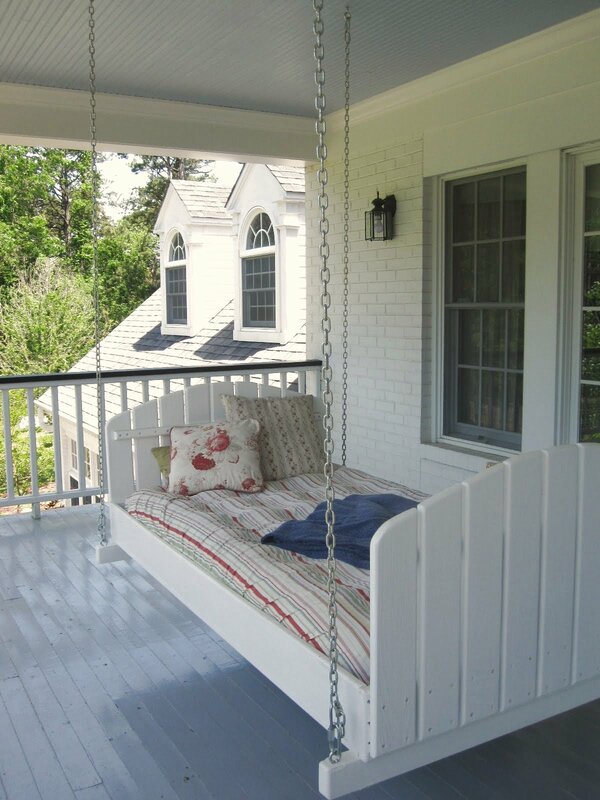 Wooded bed swing? Yes, Please! 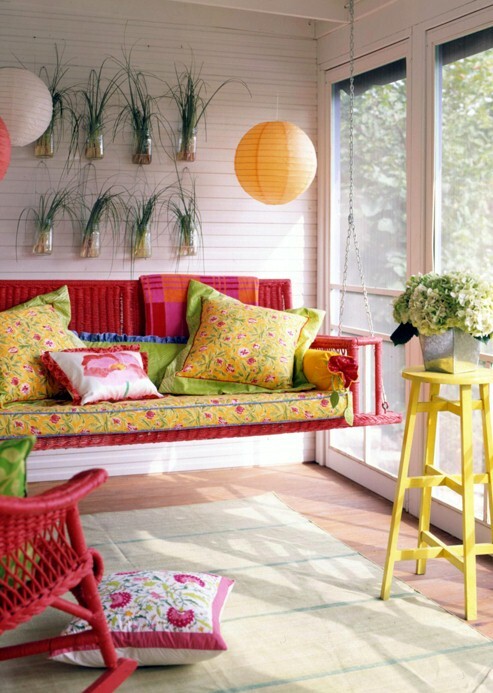 Colorful pillows make this swing bed summer-perfect! 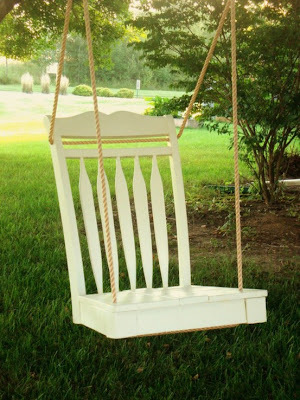 If you don't want to make your own, you can buy a swing bed online! 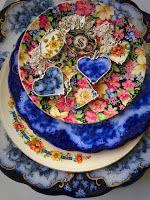 Your china jewelry is lovely. 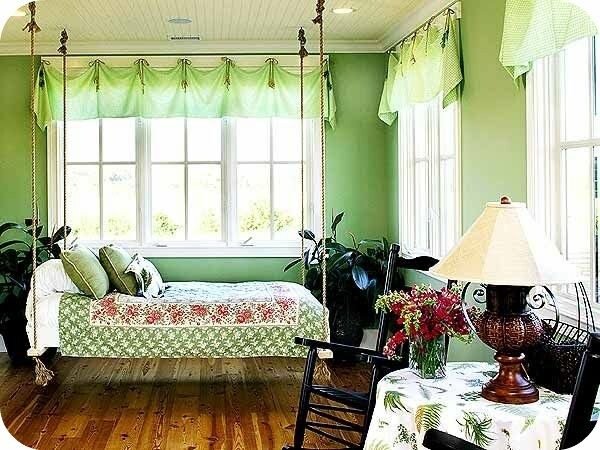 Wow, lots of creative ways to use old wood, headboards and footboards! 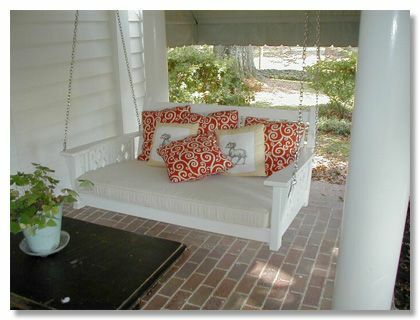 Very Comfy, and they look so inviting on those great front porches. Not so sure I would try sitting on that last one... lol! 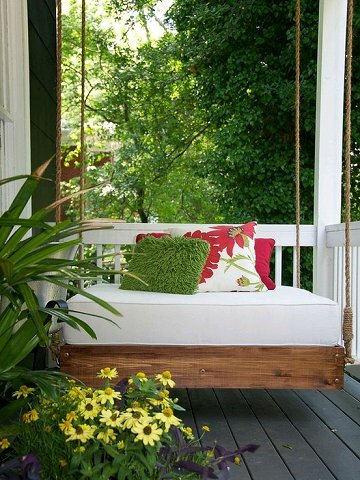 I think I need to build a porch to have one of these tempting...come take a nap on a spring afternoon...porch swings! Love every one of them, thank you for curating this relaxing collection ! These are so awesome! 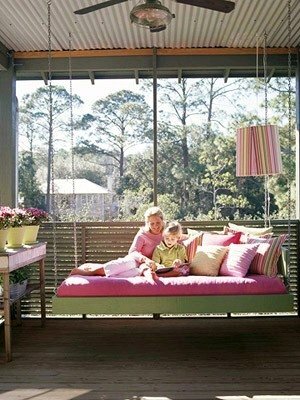 I wish I had a porch to build one! They all look like a perfect place for an afternoon nap. Gwyneth Paltrow's is so elegant! I agree, hers is beautiful! Wow - I want one! The last one is my favorite. I love the separate swing for the lamp lol. Yes, with the pulley, that is so cute! So cool! 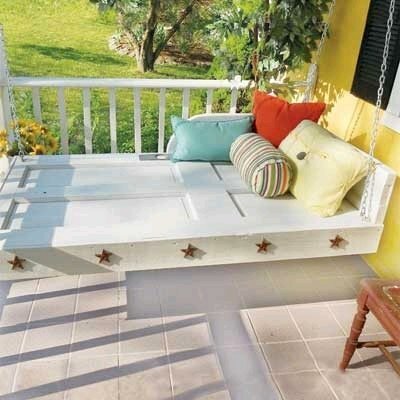 Wish I had a porch! That last one is awesome.So dreamy! At my house though it would be over run with cats, possums, the local racoon or even the peacocks! 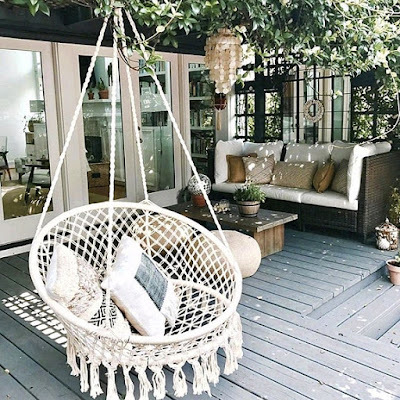 I was thinking just this morning how I wihs I could make something like this for our terrace, you have inspired me to really look into it! Great! Good luck with your project! Now you have lots of ideas! Wonderful idea... as soon as I'll buy a house i'll give the hubby the job of his life ! Excellent! Glad you liked the post! Thanks for visiting, will check it out! love every swing!! BUT how do you mount them to the ceiling? I would ask for advice on that at your local hardware store. It would depend on your particular ceiling construction. Great Ideas. 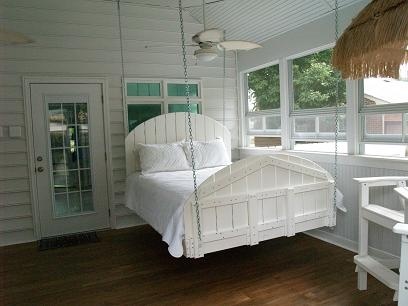 Love the bed swing. 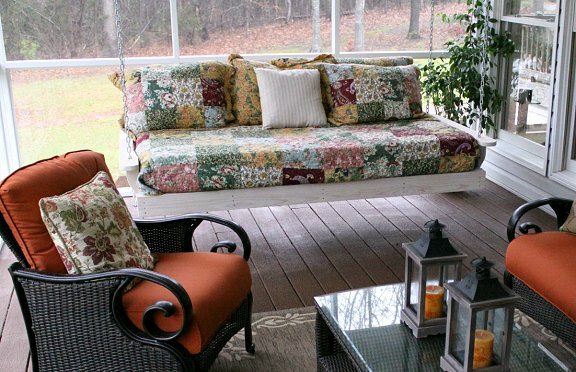 This would be great on a spring or fall evening to relax and star gaze. Glad you enjoyed the post, thanks for visiting! Wonderful article with beautiful photos! 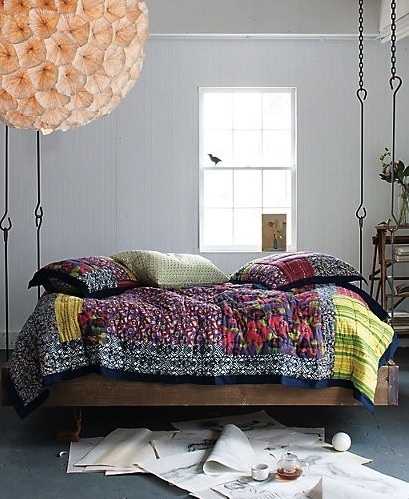 Bed Swings seem to be the "in" thing right now. 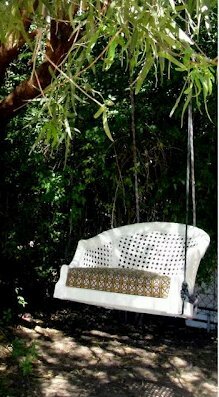 Our company, Cypress Moon, makes Swing Beds, as well as many other Porch Swings. Drop by and visit us sometime! Thank you so much! www.SwingBedsOnline.com or contact us with any questions. 901-217-9464. 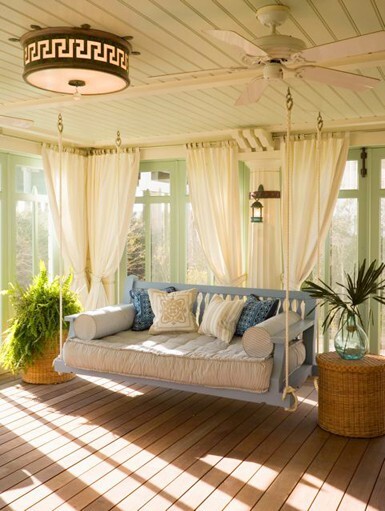 Our SwingBeds(TM) have been showcased in Southern Living and Better Homes and Gardens magazine. 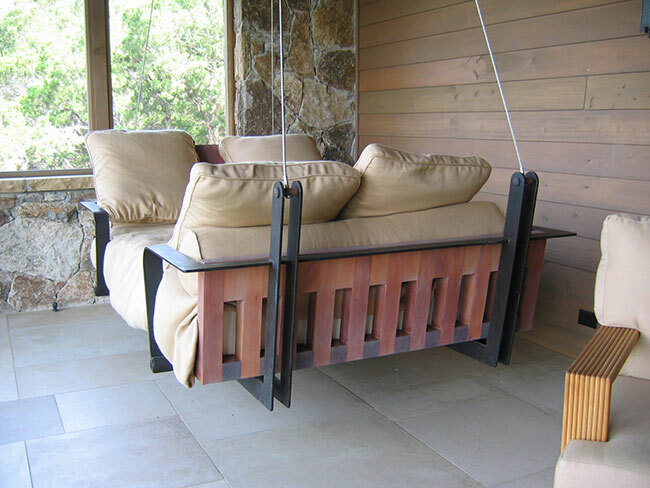 We also offer custom SwingBeds(TM) to meet your specific design or needs. my girls want one of these for their bedrooms. 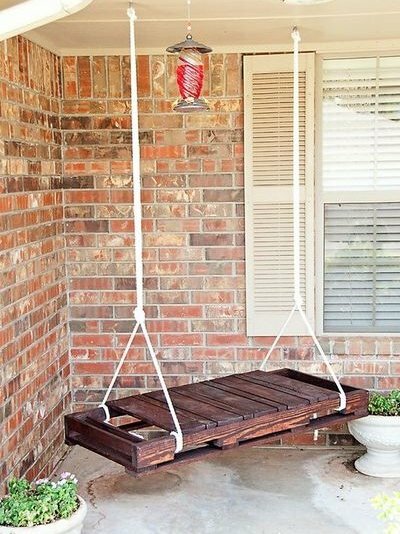 I have some old doors and old pallets, you've have given me great ideas on how to get started. they'll love this. I would love to be able to do what I used to. At 62, I have lost a lot of the ability to go get the lumber, saw it, stain it, handle the weight, etc, but I absolutely love the crafting of this type project. Now I just write about it. What I used to do... I am inspired and these are beautiful. I want one for my gazebo out back. 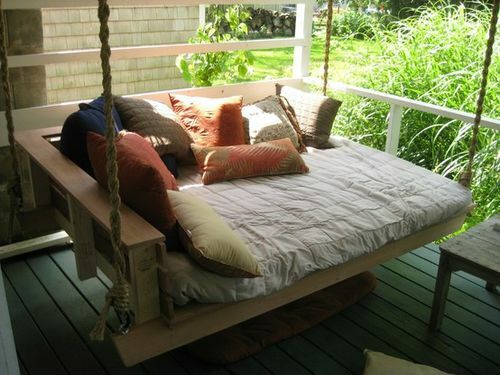 Maybe I'll find someone willing to take my idea and turn it into MY swinging bed. Thanks for making my crafting ideas come to life. Thanks sooooo much for sharing these adorable swing beds. These are simply darling, I want to have them! Probably one of my favorite posts! Thanks!